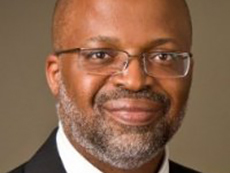 The National Art Education Association (NAEA) has selected James Haywood Rolling Jr., dual associate professor of art education in the School of Education and the College of Visual and Performing Arts, to serve on its newly formed National Task Force on Equity, Diversity & Inclusion. The 18-member task force is charged with reviewing NAEA’s history through the lens of equity, diversity and inclusion; identifying similar initiatives underway with other professional organizations and study implications for NAEA’s work; understanding the demographics of the profession across the NAEA community and throughout the field as a whole; and developing a final report that summarizes the work and makes recommendations to the NAEA board of directors to include strategies toward enhancing and sustaining an equitable, diverse and inclusive professional community. Rolling received the NAEA’s 2014 National Higher Education Art Educator of the Year Award. He serves as editor of Art Education, the journal of the NAEA, and is at-large commissioner of the NAEA’s Research Commission. Rolling’s research interests include the arts and design in education, creative leadership, arts-based research, teacher preparation, narrative inquiry, social justice and urban education, visual culture and identity politics curriculum studies, and community-engaged scholarship. He has published articles, essays and book reviews in such peer-reviewed journals as Qualitative Inquiry, Studies in Art Education, the Journal of Aesthetic Education, the Journal of Curriculum Studies and the Journal of Curriculum & Pedagogy and serves as a review board member of the Journal of Cultural Research in Art Education. His books include “Swarm Intelligence: What Nature Teaches Us About Shaping Creative Leadership” (Palgrave MacMillan, 2013) and “Arts-Based Research Primer” (Peter Lang, 2013). As a visual artist, Rolling specializes in mixed media explorations and portraiture.